About 30 years ago, the state of Texas invented its "Don't Mess With Texas" slogan. If you aren't aware, it was part of an anti-litter campaign targeting 18-35 year-old males, thought to be the state's worst litterbugs. The idea worked, reducing litter substantially between 1986 and 1990. Texas being what it is, the slogan morphed into a sort of cultural phenomenon. 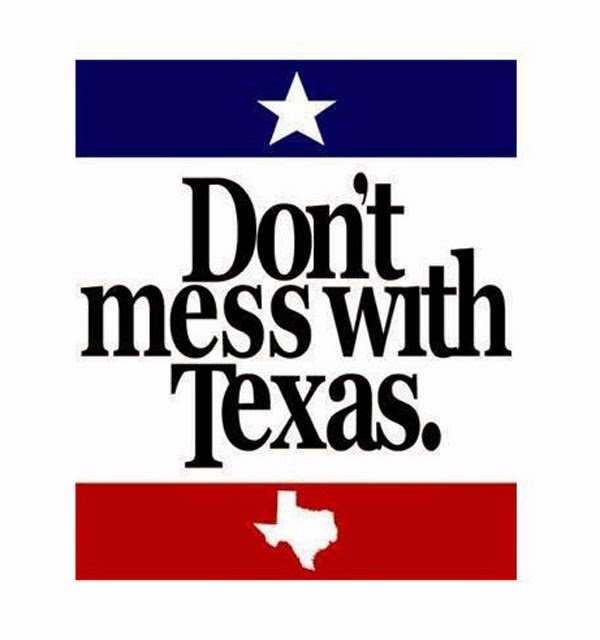 Bigheaded Texans plastered "Don't Mess With Texas" stickers on their homes and cars. The tourism industry latched onto the slogan and sold branded trinkets to millions of visitors, despite the Transportation Department's efforts to enforce trademark rights. That's Texas for you. Love it or leave it. They've got a new kind of mess in Texas these days and it involves craft beer. Back in 2013, the Lege (that's Molly Ivins-speak) passed Senate Bill 639, which made it illegal for breweries to accept payment for the right to distribute their beer in specific areas or territories in the state. In effect, the law forced brewers who wanted to sell their beer in areas beyond their own reach to give distributors the right to do so in exchange for, well, nothing. And there's more. Distributors who acquired the right to a particular beer in a particular area were free to sell those rights to another distributor for a profit. You gotta love Texas, huh? It's pretty apparent that SB 639 was pushed through the Lege on behalf of the state's beer distributors, who didn't feel quite right about paying for the right to distribute any beer. But the state's growing craft beer community has been put in a serious bind by the legislation. So earlier this week three Texas breweries sued the state, saying SB 639 violates the state Constitution because it requires them to give away their distribution rights for nothing. And allows distributors to profit through the sale of those rights, something they didn't pay for or earn. The effect of the law, the brewers say, has been to slow their growth. How so? Because they are unwilling to give up their territorial rights for nothing, they have refused to sign any new distribution agreements. That leaves them self-distributing, which they can't effectively do throughout the state. Growth has been put on hold. I'm not in the business so I don't know how these things work. But a distributor friend gave me the lowdown on how distribution agreements work in Oregon. If you want to distribute a brewery's beer, you negotiate an arrangement. In some cases, particularly with remote breweries, a distributor may pay nothing or very little. In the case of a brewery whose brand is sought by more than one distributor, the price may include marketing dollars per case or keg for some specified period of time. We'll see what happens with the Texas lawsuit, filed by Live Oak Brewing of Austin, Peticolas Brewing of Dallas and Revolver Brewing of Granbury. These guys would all like to be expanding their production and distribution, but are unwilling to do so due to unfriendly, unfair laws in the state. As Molly Ivins said some time ago, "All anyone needs to enjoy the Texas Lege is a strong stomach and a complete insensitivity to the needs of the people." For the time being, insensitively and stupidity are threatening the growth and well-being of the craft beer industry in the state. Stop messing with craft beer, Texas!